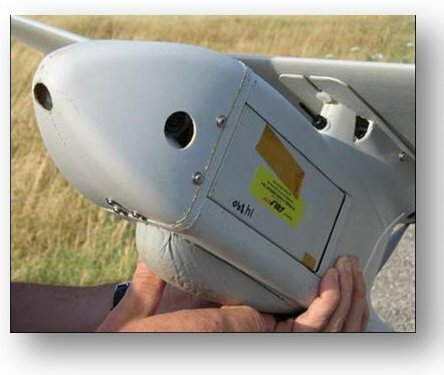 Orasis is a Greek word meaning 'vision', and in this case refers to a Coastal Video Monitoring System, developed by Michalis Vousdoukas. The site will try to provide basic information about the principles followed, the field sites and recent developments. Orasis is not a commercial activity, but a strickly research effort. All video systems installed at different sites have been funded by different research projects. We are completely open for collaboration and exchange of experiences. Orasis is not hardware, but (i) software developed to acquire and process coastal imagery; and (ii) expertise related to the selection and installation of different camera models and lenses. 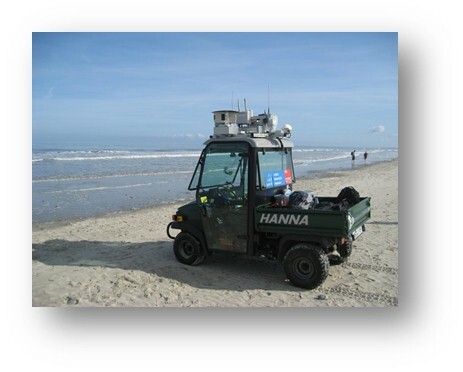 The existing coastal monitoring systems have been based on different operating systems, computers, as well as different combinations of camera and lens models, depending on the project's budget and specific needs. Finally, Orasis is part of a general effort to generate quantitative data to assist coastal research using a wide array of techniques like PIV, stereo vision, image segmentation, Fuzzy logic and Artificial Neural Netwroks. As a result, most of the methods, tools and expertise developed Orasis can be applied at other studies (field, lab and even beyond coastal research). The website is updated real-time with the latest images acquired by the operating video systems. Sample images from stations which are not in operation any more are also shown. In order to optimize the performance of intertidal topography extraction we have used Artificial Neural Networks at different steps of the processing procedure. Emerging patterns are always an intriguing topic of research. 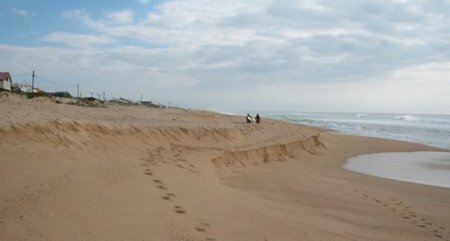 Faro Beach, Portugal is a steep, dynamic beach where even 3 different cusp systems can appear at the same time! 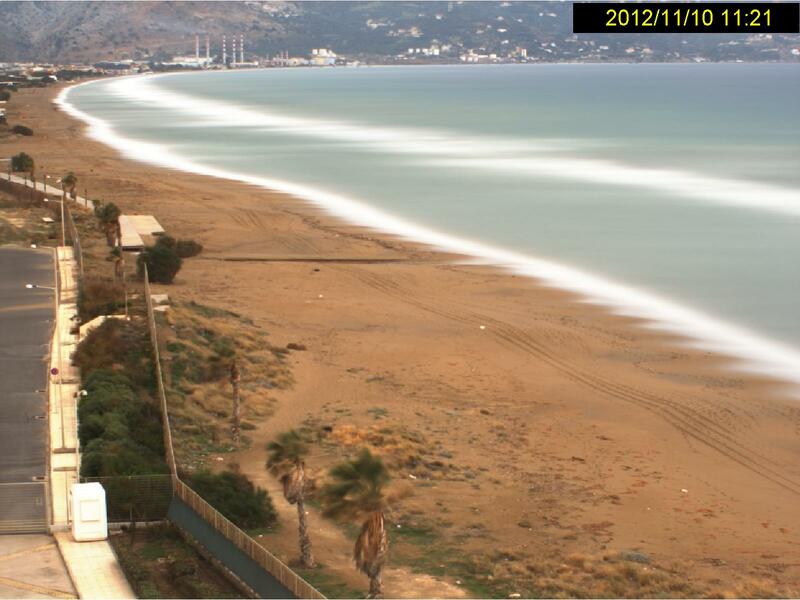 Timestack images are a strandard method to extract wave run-up measurements. Click here to download my GUI application to process timestack images. 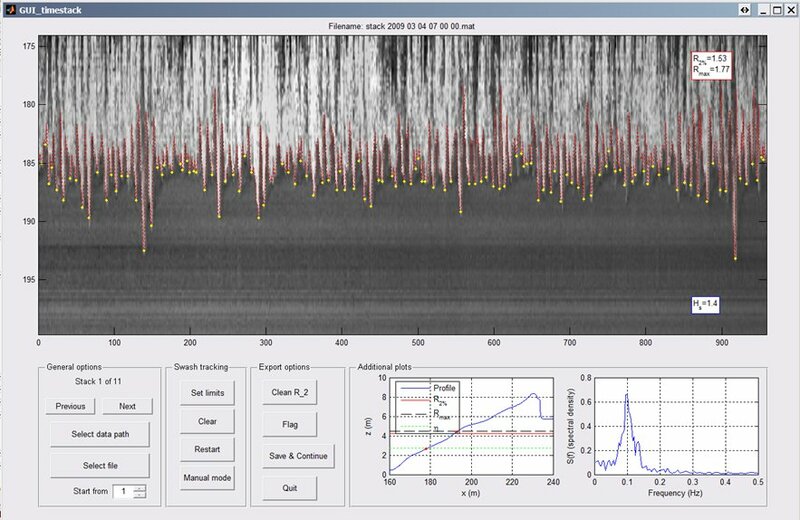 Ongoing activites include combining the Orasis software with terrestrial range scanners in order to enhance the performance of several non-intrusive optical measuring approaches. Small Unmanned Aerial Vehicles allow a favorable vantage point, easier deployment and can cover large areas so they are ideal for Rapid Environmental Assessment of the Coastal Zone. The Orasis repository includes tools to make 3D stereo surface reconstruction for topographic measurements, or even 3D motion tracking.